There are 3 cat videos tagged with kangaroo. 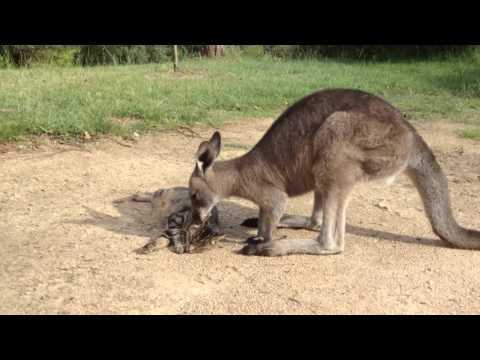 Hop the kangaroo acts like a dog and licks this cat's ear! 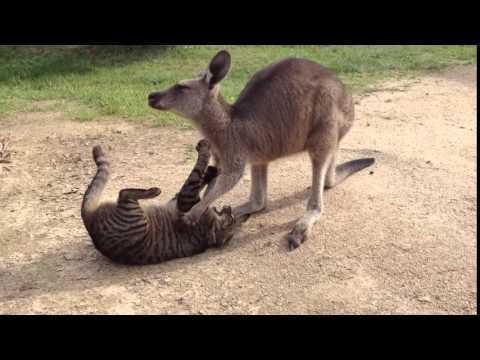 Hop, a kangaroo, loves playing with his tabby cat friend until the cat has had enough. Hop appears to be tickling the cat and we don't know about you, but tickling is not our thing either! Kangaroo! 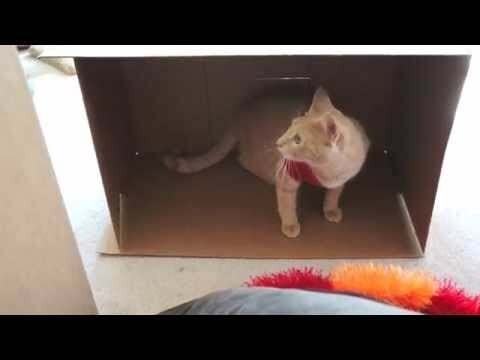 Cat in a Box!